Two powerful principles are presented here. First, God looks out for us and blesses us with what we need most. Second, God made us for relationship: relationship with him and with a husband or wife. Yes, Matthew 19 and 1 Corinthians 7 both emphasize that some are gifted to be single, but most of us are made to be complete with another. 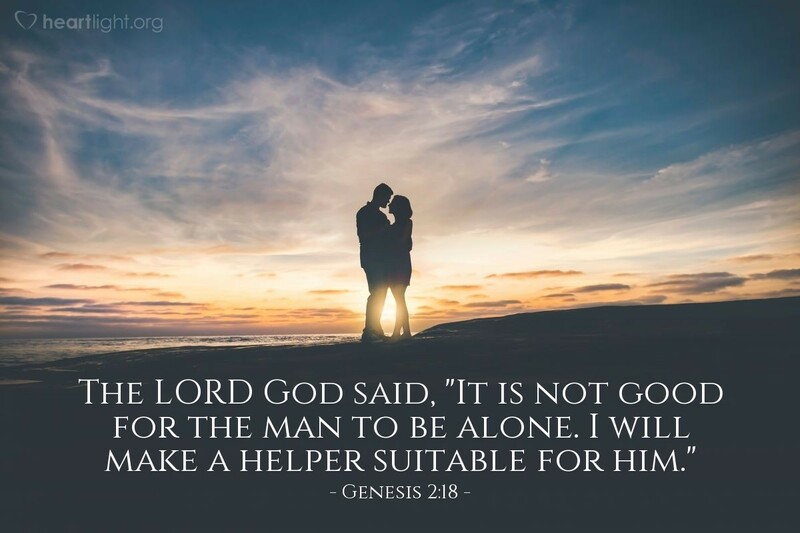 Marriage and a godly husband or wife are a gift from God. Let's live like they are! Holy God, I want to thank you for looking out for my needs. So many times I ask you for what I want, not what I need. Thank you for doing what is best for me and not what I want! Now, dear Father, please help me treat the significant people in my life as gifts from you. In the name of Jesus, your ultimate gift, I pray. Amen.